The Treaty county cruised to a 24-point win over Carlow. Turlough O’Brien’s side did not kick one wide throughout the contest. Anahi Esther Sanchez defends her WBA World lightweight title against Katie Taylor on Saturday. Near sell-out crowd of between 70-80,000 expected in Cardiff’s Principality Stadium. In a first ever world title unification on Irish soil, former gym-mates Ryan Burnett and Zhanat Zhakiyanov will put their belts on the line in Belfast. The Mullingar man remains undefeated as a professional. Promoter Eddie Hearn floated the idea of another big ‘crossover’ bout following success of McGregor v Mayweather. Carl Frampton returns to the ring on Saturday night for the first time since his sole career loss to Leo Santa Cruz, and he does it on home soil. The Belfast man is likely to be back in the ring this September. Home fighter Jeff Horn stunned Manny Pacquiao with a unanimous – but controversial – decision in the main event. Jarrett Owen is a massive underdog for tonight’s fight in Suncorp Stadium. The Belfast boxer is fighting in Australia this weekend. Michael Conlan takes on Mexican journeyman Alfredo Chanez in his second professional fight tonight. Neither fighter will be on the 10 June card in Belfast. Promoter Eddie Hearn has indicated that the Bray boxer’s sixth professional bout could take place in Las Vegas, New York or Boston. The Bray boxer recorded her fifth professional victory last night and could now be set to fight in Las Vegas this summer. She overcame Germany’s Nina Meinke at Wembley Stadium. Eddie Hearn gearing Taylor towards US debut before homecoming for title shot. 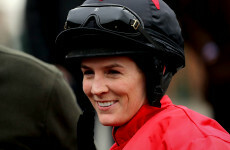 The Bray woman picked up another convincing win last night but she felt it was far from perfect. Taylor insists she doesn’t anticipate a more aggressive or unusual boxing style from her 28-year-old opponent. Though the fixture schedule of the Knicks and Rangers will have to be taken into account. The Limerick middleweight says he hopes to fight again later this year, however. The Limerick man got the job done at Madison Square Garden.